As seen on FOX2 Now ST. LOUIS, MO (KTVI) – FOX News visited us this morning on the 9 AM Show! Nick Kirkou, the owner of the Shred Truck, talks about why shredding your personal documents is so important! Kirkou says that you should shred your personal documents to protect yourself from fraud, identity theft, and privacy. 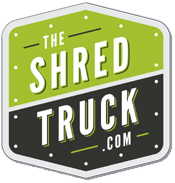 The Shred Truck offers on site shredding, one time shredding services, and recycling!